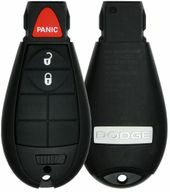 DODGE MAGNUM keyless entry remotes. Save up to 50% off dealership charges on key fobs for your Dodge Magnum! Lost or broken keyless remote starter key fob or chipped transponder key for your Dodge Magnum? 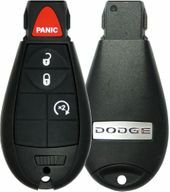 We carry the same OEM remote transmitter or remote start fob for your Dodge Magnum! Call us 866-690-4308 toll-free to order.